It was my special honour, and one I didn’t take lightly, to craft a memorial urn for a dear friend after her passing. I suggested that a carving on the top of the box would add a personalized touch, and after scrapping several design ideas and one false start on a carving, I came up with this design. 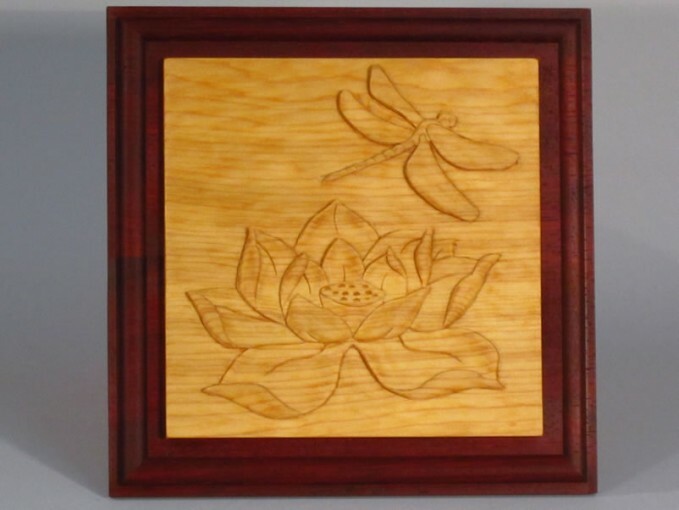 My friend loved dragonflies and lotus flowers, and I wanted to incorporate both. The wood for the carving is cedar, because I liked the colouring of the cedar contrasted with the red colour of the African padauk wood lid.